Intro by Campsite... 'Small campsite situated in France on the border of the Lot and the Dordogne; spacious and child friendly; a real family campsite. A few luxurious safari/lodgetents, a gîte and a comfortable bungalow. 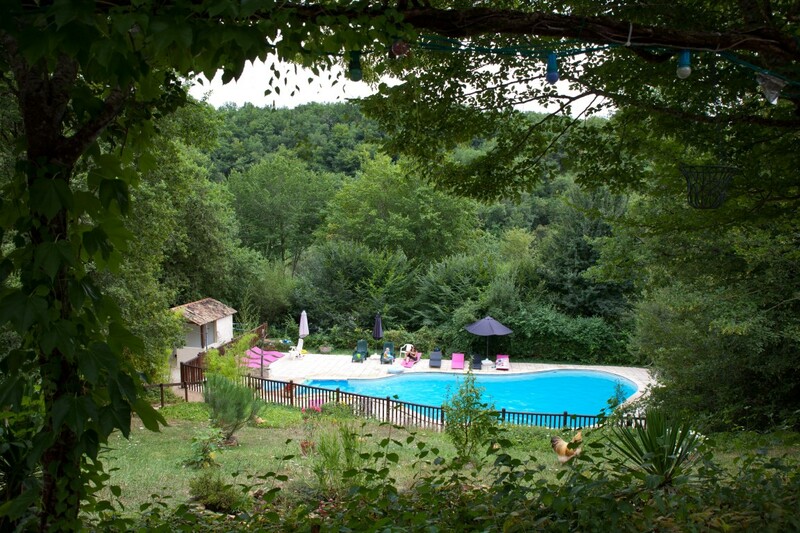 You will find campsite VALENTHÈZE in the westernmost tip of LOT department just beside the Dordogne and on the border of the Perigord noir, Midi-Pyrenees and Aquitaine. In the LOT you will still find the warm and relaxing atmosphere of the South of France. The region is hilly with many chalk cliffs, a rural area where with no concentration of tourism but authentic French villages and surroundings.